Lantern Love and How to Find a Great One! Antique lanterns are something I’ve been smitten with for awhile now. 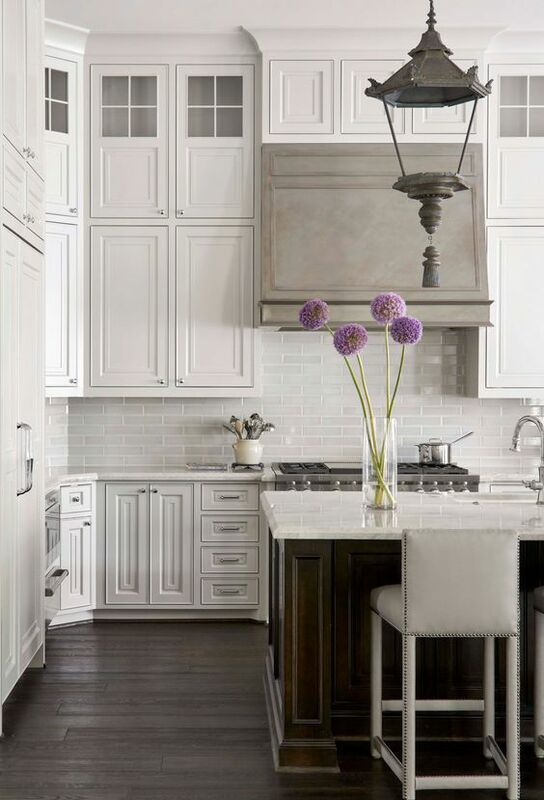 I first fell in love with them when this kitchen was featured in a magazine a few years ago. I didn’t even realize that they were originally French outdoor lanterns, I just knew that I loved them! The patina! Design by Denyse Rinfret via Traditional Home. Does it get any more gorgeous than this?! Of course, these are genuine antique French street lanterns that probably cost thousands each! But their charm is undeniable! 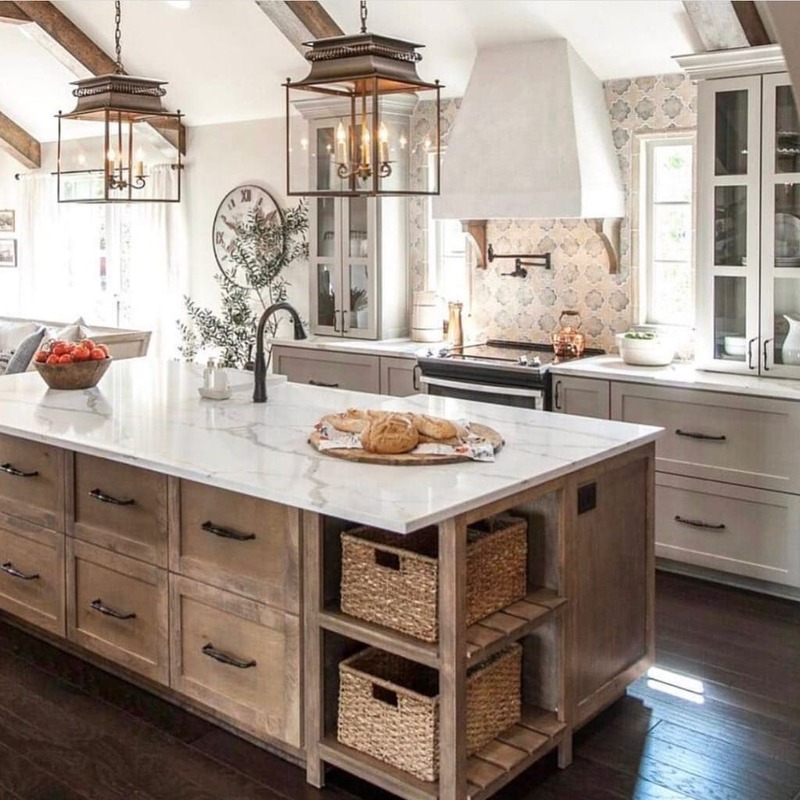 This is probably favorite kitchen on the planet, and the lantern really adds to the charm of this space! Via House Beautiful. Design by Kate Martindale via C Magazine. 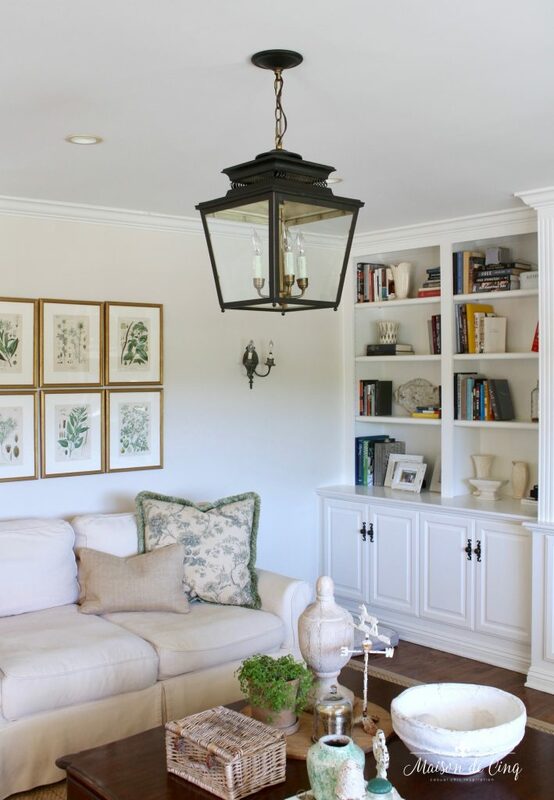 A room can go from ho-hum to truly gorgeous when a lantern is added. They’re especially great in pairs in a kitchen, often over an island. But they work in a dining room, family room, or entry way…. really anywhere you want to add some patina and uniqueness. This is an all-time favorite space designed by Rachel Halvorson! Love the pair in the kitchen! This lantern makes this kitchen! Via Traditional Home. 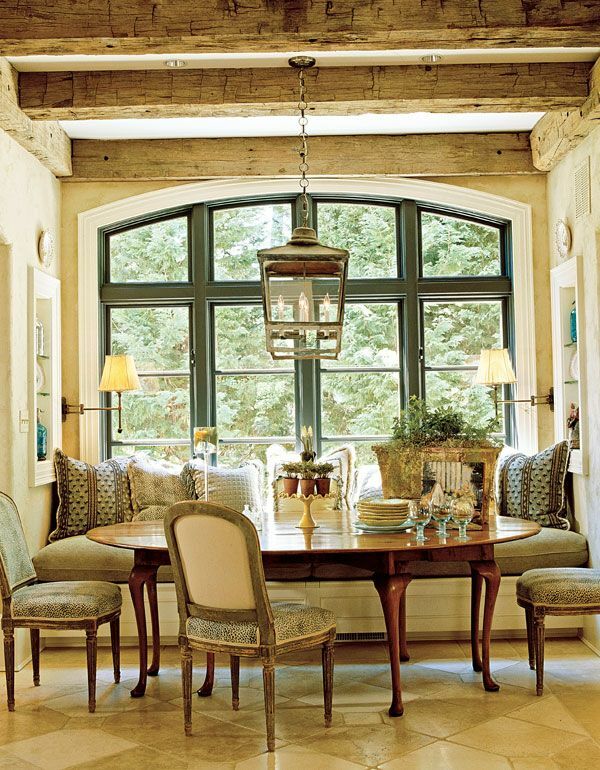 This breakfast room is an old favorite – and such a classic! 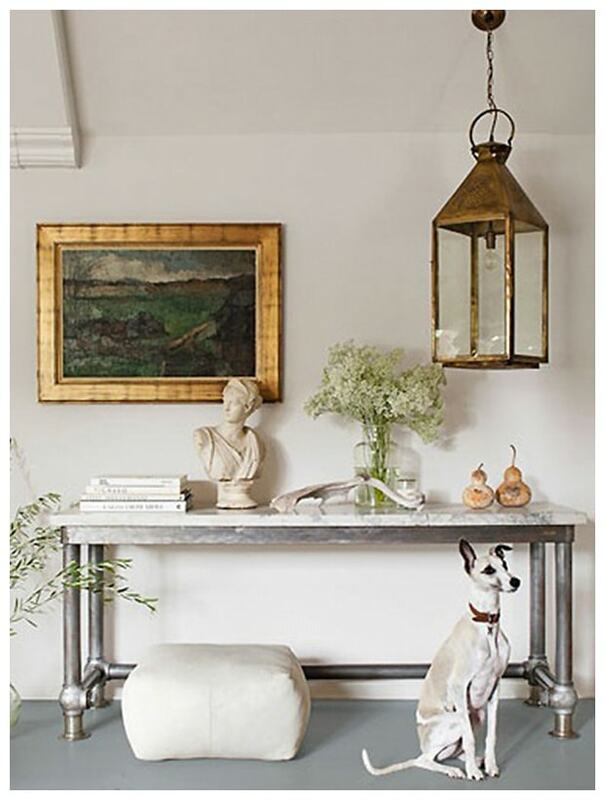 Design by Mary Jo Donohoe via House Beautiful. 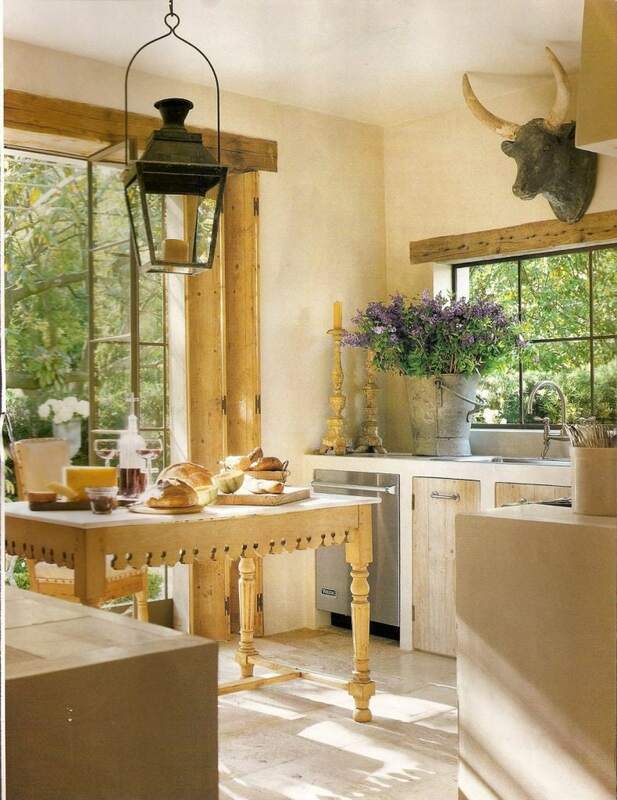 Pamela Pierce is a favorite designer of mine, and she frequently uses the antique versions in her kitchen designs. So, we’ve established that the antique versions are gorgeous! However, they are usually prohibitively pricey. 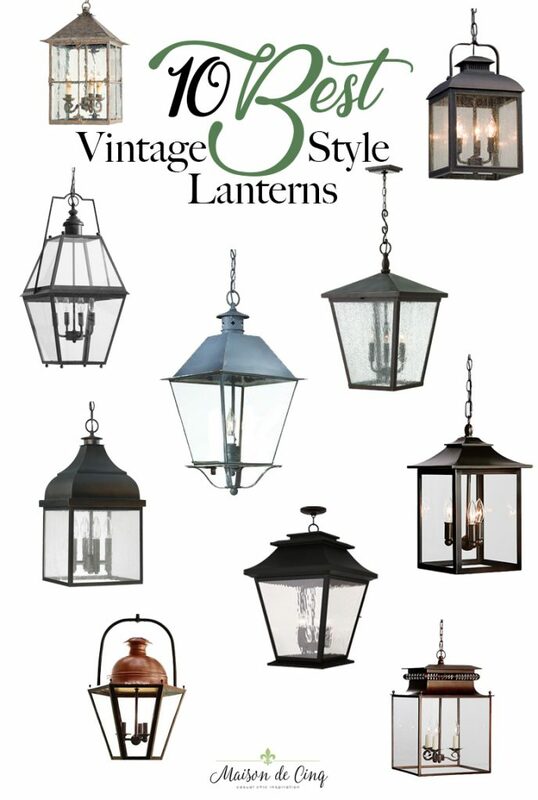 But since lanterns are so trendy now, you can find reproduction lanterns that do the job for a very reasonable price. Here they used two Pottery Barn Bolton lanterns, and they’re gorgeous! And one thing about this lantern is it is huge – you get a lot of bang for your buck! 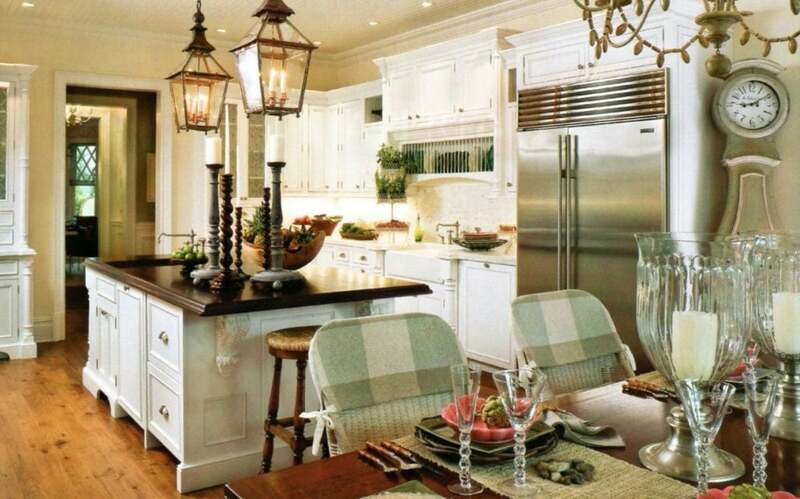 Kitchen design by Loudoun Interiors. Another room that used reproduction lanterns to great effect. Via Style at Home. I started looking a couple of years ago and ended up with one from Ballard Designs for my family room. 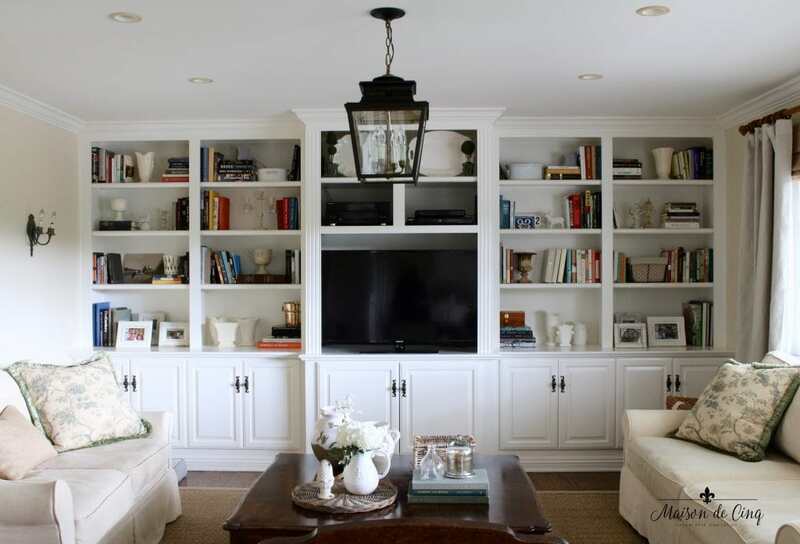 Not only does it add some greatly needed charm and character, but it adds a wonderful focal point to the room. No patina, obviously, but I do love the shape and it’s a nice size for the room. Previously, I had no overhead in this room (just the recessed lighting) and I think it really helped pull the room together! So while I would love an antique one someday, I’ve settled for a good reproduction for now. And there are some wonderful finishes out there that mimic the vintage ones! I’ve sourced some great finds below, at all different price points. But if you don’t find what you’re looking for below, or just want to look more, don’t forget to look at outdoor lanterns. They’re usually more rustic looking, and they’re often priced less as well! Thank you for the lovely photos! They have definitely given me some great ideas. 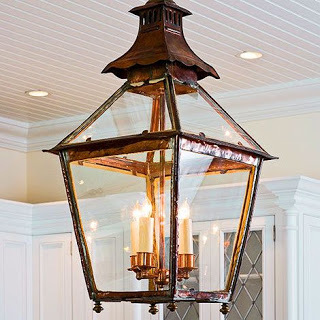 I agree that the lanterns add a nice touch to the kitchen and dining room area. I agree that there are good places online to find lanterns for sale at reasonable prices with a little time and research. Hi Vickie~ I use mine as an overhead light in two different rooms and I love them! They have 4 candle bulbs inside the glass so that’s about equal to a 4-arm chandelier. Not for task lighting, but fine for an overall room light. I have always loved hanging lanterns like the ones you shared and I also have the Ballard’s lantern like yours except I bought the red one that I later changed to gold or a brass look with Rub n Buff. I remember reading that at the time Kim! And I love it in the brass now – it looks great in your breakfast area! Me too Courtney! So charming aren’t they?! For a kitchen, get it big enough that you can get your hand in to clean the glass. Well, the ones in the first pic are gorgeous because they are French antiques (I love them the best too!) I've been very happy with the Ballard one I got though, especially for the price! Well I love all of these lanterns! The one I wrote about this week I liked because it didn't have glass – we have one lantern by Pierre Deux (remember them?) and the thing gets dusty (not good for someone who isn't a fan of dusting!). Love the ones in the first pic the best!